Adding to the Haruomi Hosono resurgence here in North America, the Japanese music hero's much-coveted Pacific sequel The Aegean Sea is finally getting a vinyl reissue. According to various online listings, The Aegean Sea will get a vinyl reissue via Italian grey label Victory. The Aegean Sea first arrived in 1979, coming one year after Hosono's classic Pacific album. 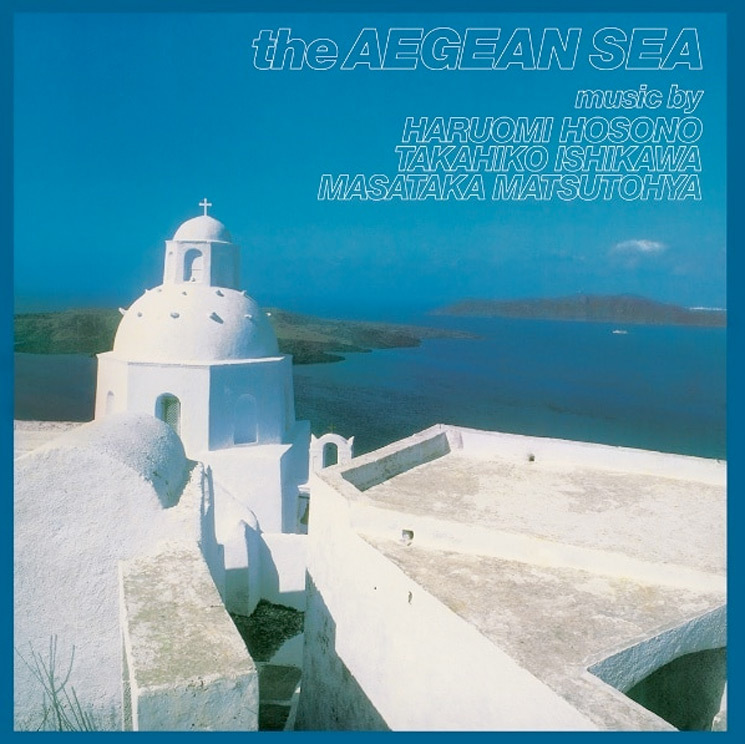 And like Pacific, The Aegean Sea is a collaborative effort, with Hosono this time working alongside Takahiko Ishikawa and Masataka Matsutoya on the album. Seen as a companion piece to Pacific, The Aegean Sea very much strikes a similar tone, as Hosono and co. offer up an ultra-smooth blend of jazz-fusion, Balearic groove and a huge dose of electronics-flirting exotica. Down below, you can stream the full album for yourself. Unfortunately, since this vinyl reissue is once again arriving via the Victory imprint — which also repressed Pacific — the release is not official and unlikely comes with the blessing of Hosono himself. In other words, it's essentially a bootleg. As recently reported, Hosono just released a new album in Japan called Hochono House, which finds the Yellow Magic Orchestra member reimagining his classic 1973 solo debut Hosono House. Hosono also appears on the upcoming Light in the Attic comp Pacific Breeze: Japanese City Pop, AOR & Boogie 1976-1986, which arrives on May 3.